Project BEST is a construction industry labor-management organization encompassing over five hundred (500) contractors and six thousand (6,000) building trades craftsman and apprentices serving the Upper Ohio Valley region (Steubenville, Ohio – Wheeling, West Virginia MSA) approximately sixty (60) miles southeast of Pittsburgh, Pennsylvania. Its primary purpose is to promote jobs for its participants by providing quality and safety conscious craftsmen and on-time completion of projects within budget to its commercial and industrial customers and encouraging economic development throughout the region it serves. 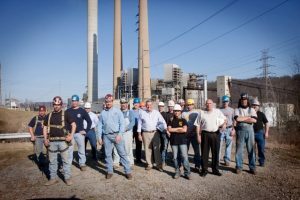 Project BEST represents a joint effort by the Upper Ohio Valley Building & Construction Trades Council and the Ohio Valley Construction Employers Council to create a positive labor-relations climate in the construction industry. Recognizing clearly that education is the very cornerstone of economic development, Project BEST provides annual scholarships to area universities and colleges which are available to Project BEST participants and their dependents. Promoting safety in the workplace, Project BEST has retained the services of a full-time safety consultant to audit construction projects, provide safety seminars, tool box safety meetings and numerous other safety programs designed to foster an accident-free workplace. To promote productivity in the workplace, Project BEST provides STP Foreman training, Blueprint Reading, Estimating, Construction Math, Construction Law and CPR First Aid Training. Many of these construction-related training programs are provided through local colleges. To provide quality in the workplace, Project BEST , through the efforts of Joint Apprenticeship and Training programs sanctioned by the Bureau of Apprenticeship and Training, U.S. Department of Labor, promotes the training and employment of apprentices. Project BEST operates as an industry team, rather than as individual segments in dealing with construction-related matters. Project BEST provides a forum for the discussion of industry matters with construction users, the design professions, and those involved with community economic development endeavors. 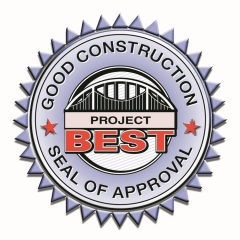 The Project BEST Board of Directors meets monthly to administer the program, designate projects as Project BEST projects, seek means for improving efficiency, safety, productivity, and support the overall community. Project BEST was chartered as a non-profit corporation in 1982 and is a model of exemplary corporate citizenry.